This has been a stressful homestretch, scattered with the anxiety of finishing group projects by seemingly impossible deadlines and the threat of upcoming exams that I felt mildly unprepared for, regardless of how hard I had studied. But this semester is finally coming to a close, I’m days away from sleeping in my own bed, and I feel my lungs gaining breath again. I feel like, in the last couple of weeks of a semester, I can barely breathe. I can never manage to take a full, deep breath and close my eyes to pure silence, because I know that once I close my eyes, reality will come back to bite me and remind me of what’s next on my list of things to do. But my head is officially clear, and I can begin to focus more on my art and writing again, and await the moment I can leave campus for an entire freakin’ month to go home and see my family and friends. It’s honestly the best treat a college kid could ask for, at least if they have a tight-knit family like I do. I always miss them when I’m away, but still, I definitely do not regret leaving for college because of this……But yes, I just feel good about everything lately and I am ready to come home and do nothing but things I want to do for the next few weeks. It will be glorious. Went on a bit of a tangent there. Moving right along. But yes, things are dandy on my end if you were wondering! 😉 And if not then….well, fine then. Suit yourself. Anyway, I’ve got some time to blow, and I’d love to get your input on a few things. I’m going to start writing daily again (I hope you’re as excited as I am!! ), and would like to know what kinds of articles you would like me to write more of! I write for you guys just as much as I write for myself and I’d like to take some requests and what not for this holiday season. So if you could, take a moment and answer my poll below. Hopefully I can take your requests and write something wonderful for them that we’ll both enjoy! 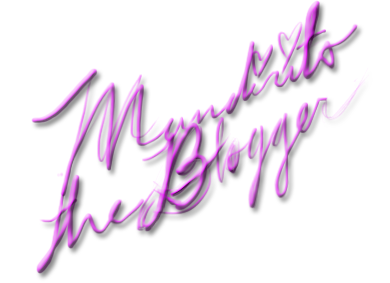 And if you have a specific prompt that you’d like answered in a new blog post, my email is mandirito@gmail.com! I’m happy to take email requests as well! I even made it easy. The contact form below will allow you to send your requests straight to my inbox. So go ahead, don’t be shy. I want to know what you think! Cmon. You know you want to. The halls are quiet, but filled, with the murmuring of anxious students as they await their final exams. Nauseous with the intensity of stressful hours of studying and sleepless nights, they await the moment their efforts are put to the test. Just their body, brain, and thoughts as the packets of hopefully relevant questions are distributed. Will their struggles pay off? Will the worries that have infested themselves within their brains be put to rest at last? These moments will tell. 1. Is that coffee in the fridge still good? Or did I seriously just waste the last bit of creamer in my fridge, upping the potential of a final’s week meltdown? 2. One step outside this morning, and I felt like my toes were going to fall off. It’s best if I don’t lose my toes before finals week. 3. It’s weird having a schedule where I’m basically finished by 12:00 PM, because then everyone’s still in class, and I’m just straight chillin’, waiting for someone else to say that their class got canceled. 4. Where did all my napkins disappear to, anyway? Seriously, I know you’re a mess, but chill with that. 5. I think the name “teriyaki” should be changed to “teriyummy”. Let’s be honest. The name is misleading. 6. If I rolled off of my bed right now, I’m pretty sure I could break something. I think I should put “mountain climber” on my resume because of this. Climbing this bed is an adventure. 7. One of my toes refuses to be a team player. 8. I think all the COM majors in this class are perfect for their major, because they NEVER STOP TALKING. 9. Bikes are probably the best and the worst thing to ever happen to college campuses. 10. I’m playing with the idea of turning a blip of my writing into a novel.